The uncorking of this year’s Beaujolais Nouveau wine is set for November 21st, and this week the year’s first shipment of thousands of bottles have arrived from France. 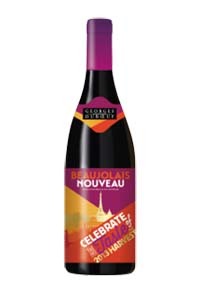 The first Beaujolais Nouveau 2013 bottles are popped open on Nov. 21, and the first bottles have already arrived in Japan and are waiting for the big day. The Seamen’s Club Naha is hosting the annual Beaujolais Nouveau Wine Festivities beginning at 7 p.m. on Thursday, November 21st. Reservations can be made at the Seamen’s Club, or by calling (098) 857-1753 or DSN 648-7493. Tickets are ¥3,500 in advance or ¥4,000 at the door. Entry includes both heavy hors d’hoeuvres and the Beaujolais Nouveau and Beaujolais Nouveau Villages wines. The first wines at Haneda airport on Tuesday morning. Importer Royal Bussan is providing the Beaujolais Nouveau wines for the Seamen’s Club wine party. Additional wine shipments will be coming Narita, Haneda, Kansai, Chubu, Fukuoka and Shin-Chitose airports through Nov 17th, and on to Okinawa.. In addition to tapping the first keg and uncorking the first Beaujolais Nouveau of the season November 21st, bottles of the special French wine will be available for sale at a price of ¥2,000 per bottle. The third Thursday in November traditionally marks the official debut of the new season’s Beaujolais around the world. Because of Japan’s time zone status, it gets the first opportunities to taste the wine. One of the Beaujolais Nouveau importers, Suntory Wine International, predicts Japan will bring in about 8.5 million 750-mililiter bottles this year. The record was set nearly a decade ago, when 12.5 million bottles were sold in Japan in 2004.